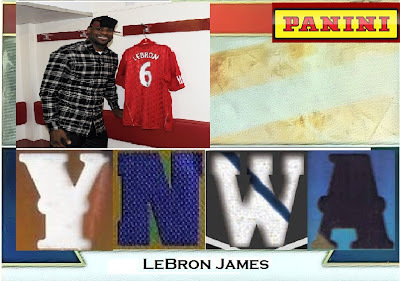 Stale Gum: Hey Panini, Want to Make a LeBron James Football Card? For Reals? Hey Panini, Want to Make a LeBron James Football Card? For Reals? Instead of a fake Miami Dolphins card that you'll never be able to legally produce, how about this? Oakland Coliseum Mystery Humper... Found? 2011 Topps Updates: No Gimmicks Required. Topps' Stupid "John Henry" Gimmick Card: Fixed.